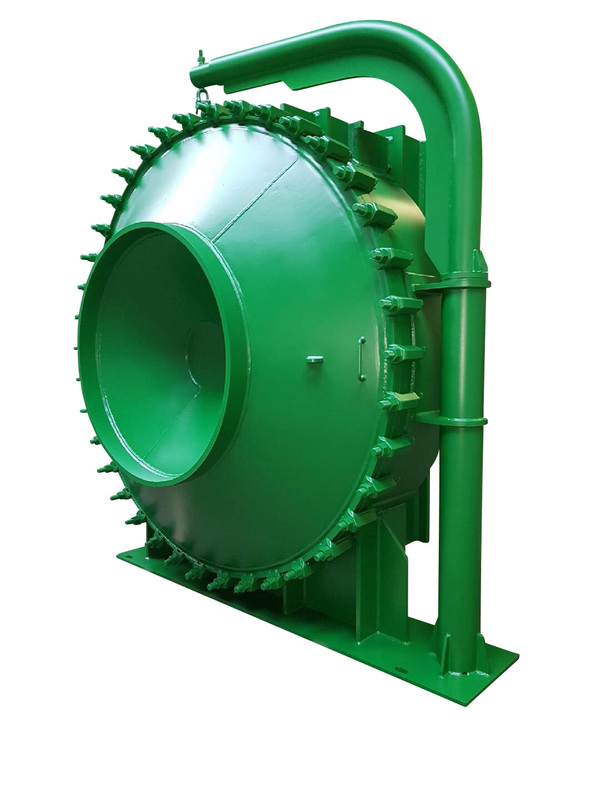 Sludge spiral heat exchangers are specially designed for digester sludge heating and heat recovery applications, such as digested sludge heating, raw sludge heating and heat recovery from effluents, pasteurisation, methanisation. GreenSpiralTM for sludge treatments is made of two concentric channels, the spacings and width are controlled by special guideways and chosen in accordance with customer’s requirements and working conditions. 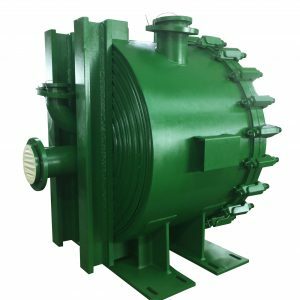 This approach of the Spiral Plate Heat Exchanger allows to take into account such parameters as fluids flow rate, presence and concentration of mechanical impurities (solids, fibers, etc…), pressure drop values. 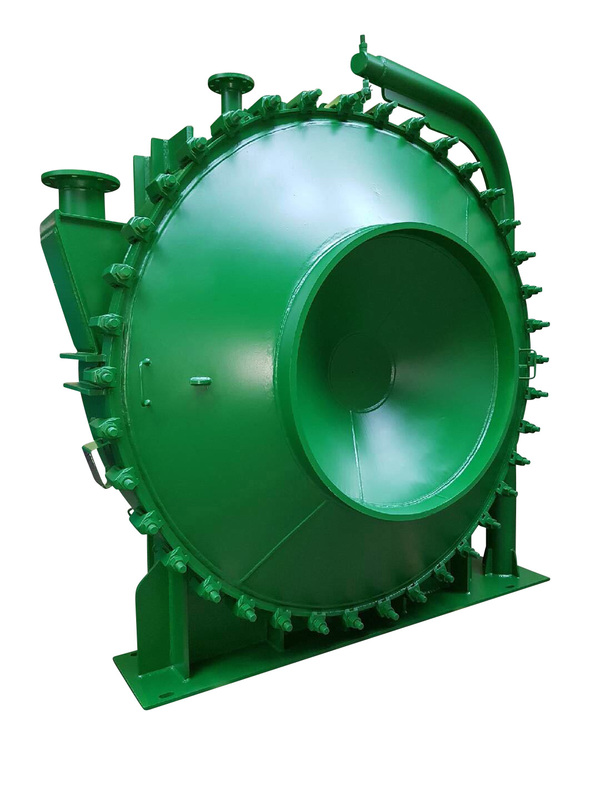 Spiral heat exchangers are the alternative to traditional tube in tube heat exchangers. Spiral design and optimization of conditions in both channels of customized Spiral Plate Heat Exchangers provide high heat transfer performance compared to traditional tubes & tubes and reduce energy costs usually needed to heat sludge. Spiral Plate Heat Exchangers are designed to maximize the heat transfer surface in a very limited footprint. They are set up horizontally with no need for complex installation. The budget for installation is thus limited. Access and inspection of the whole heat transfer surface is facilitated thanks to openable end covers. 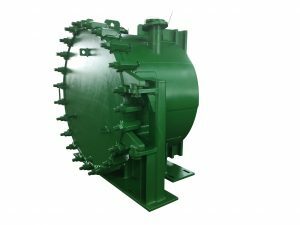 The heat transfer area available for a liquid to liquid exchanger fluctuates from 5 to 90m². The Nexson sludge Spiral Plate Heat Exchanger can be manufactured in carbon steels or stainless steels) (SA 516 Gr60, SA 516 Gr70, 304 / 304L, 316 / 316L). 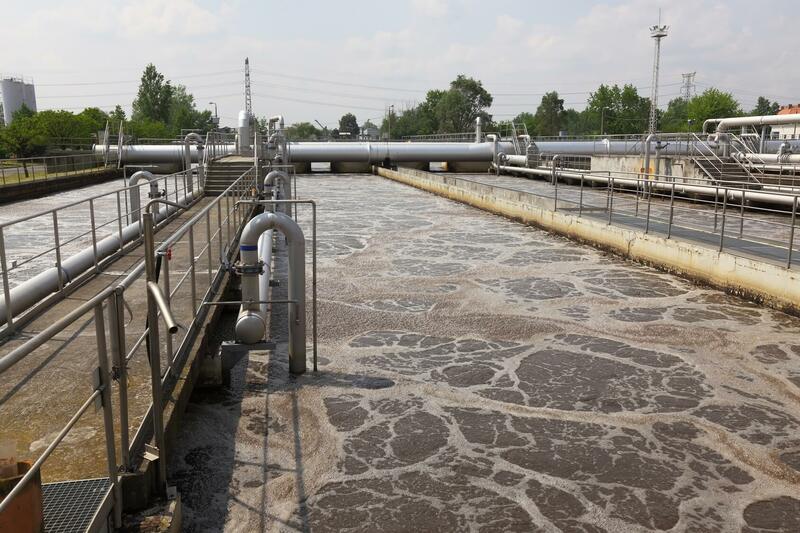 They are used for a design pressure from the 1 barg to 10 barg .